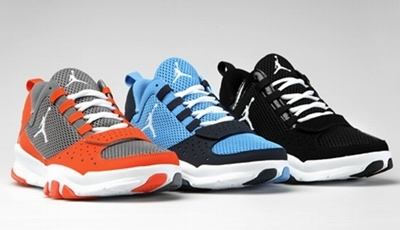 Jordan Brand Trunner line of sneakers has been well accepted in the market everytime a new comes out. This time, Jordan Brand is looking to keep you fresh this summer with the release of three new editions of a Trunner called the Air Jordan Trunner Dominate. The Air Jordan Trunner Dominate is now available in University Blue, Black, and Team Orange editions. The silhouette boasts stability and comfort with its flex-grooved outsole. All three colorways looks impressive, giving you three excellent choices for your new kicks this summer!